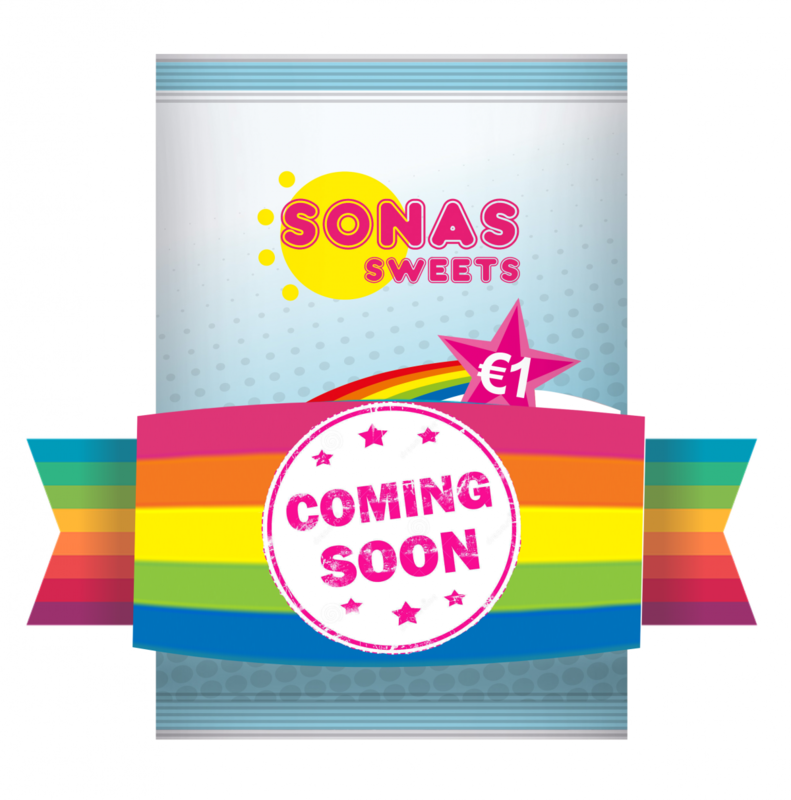 We are delighted to bring you some updates to our Sonas Sweets confectionery range. 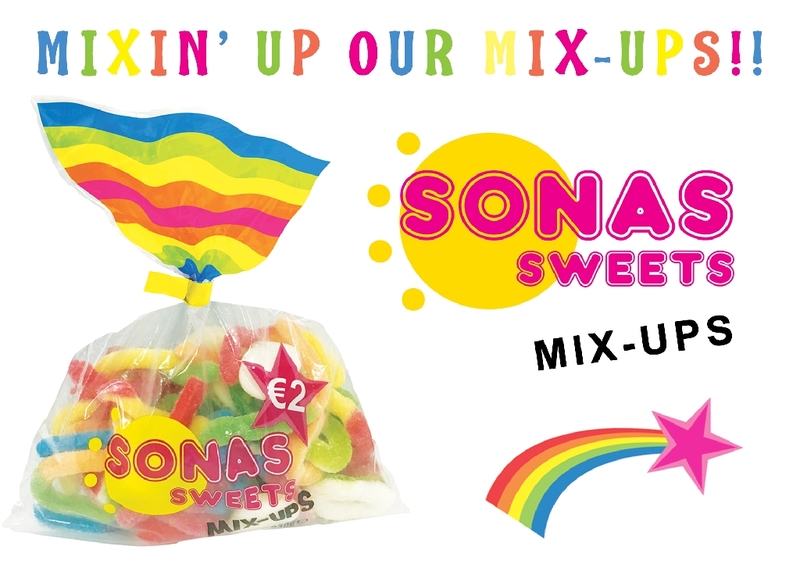 Our best-selling €2 Mix-Up has been mixed-up some more with the addition of a wider and varied selection of fun and colourful sweets and jellies. There are even more soft, sugar and sour jellies and an exciting range of unusual, funny sweets for children and classic favourites for adults added to the mix. The updated range looks bright, colourful and attractive and compliments the colourful Sonas Sweets branded bag. Each sweet in the Sonas Sweets Mix-Ups has been carefully selected in a tasting panel to ensure quality and to provide the consumer with the best selection of sweets in the offering and a bag of treats that will have something for everyone! The Mix-up selection will also be constantly changing to keep things fresh and exciting for consumers. Retailers and consumers can be assured that Sonas Sweets are of the highest quality and the highest standards of food safety and compliance with legislation are ensured. Sonas Sweets Mix-Ups are all hand-packed in double laminate bags with a re-sealable tab which are fully compliant with trace-ability and Best-Before-Date. You won't find a better bag of sweets on the market! 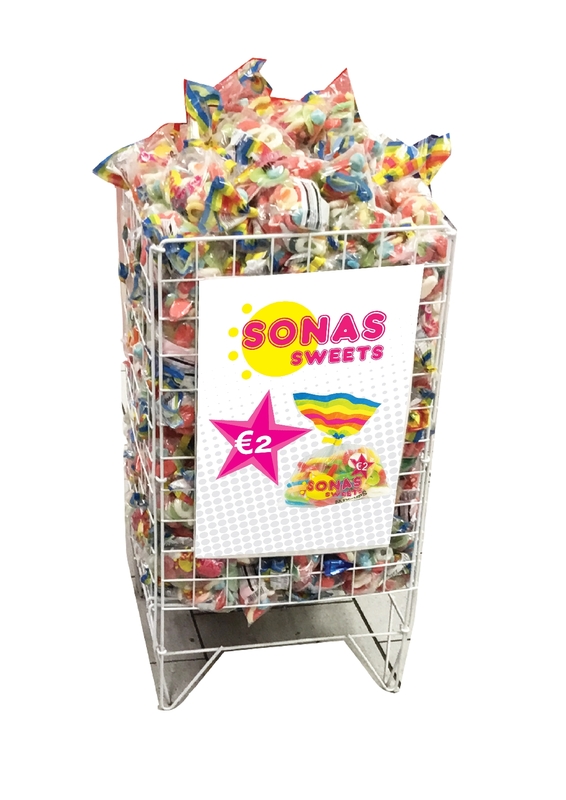 To drive sales of Mix-Ups in-store Ampersand have supporting POS in the form of dump bins and bright A3 laminated posters which highlight the colourful Sonas Sweet branding and the magic €2 price-point for these tasty treats. 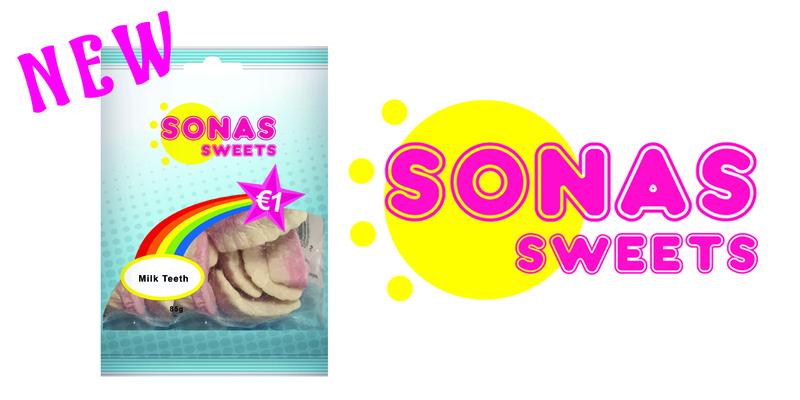 There have also been some new lines added to the Sonas Sweets €1 hanging bag range with the addition of Sonas Sweets Milk Teeth. The milk teeth selected were chosen from a range of different milk teeth offerings and are of the finest quality, dusted and delicious in strawberry and vanilla flavour! 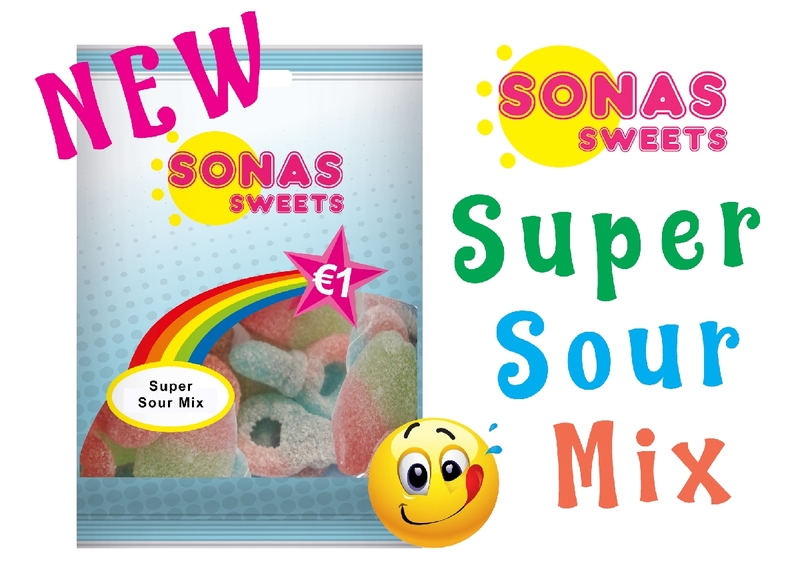 Sonas Sweets new Super Sour Mix was also added to the €1 bag range for those who love the tangy combination of sweet and tart and like to chase the powerful punch of a sour sweet. Sonas Sweets Super Sour Mix is deliciously mouth- watering and mouth-puckering and is a must-try for a taste explosion experience! There are also more plans in place to further extend the Sonas Sweets range with some more exciting new lines coming down the line soon .....watch this space for updates.